Wisconsin’s nurse shortage is still expected to continue for many years since the population keeps aging and many nurses are set to retire within the next ten years. The job outlook in Wisconsin is fantastic, in fact, statistical analysis showed that 73% of graduates had offers upon finishing school and that 91% had an offer between 4-6 months later. This makes choosing a career in nursing a smart idea and there are many nurse schools and nursing programs available in Wisconsin. 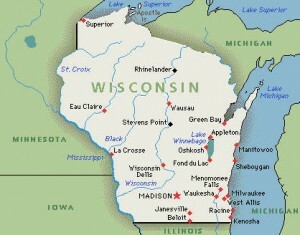 Wisconsin is a compact state and requires yearly license renewal. Within the state, LPNs make up 17% of the nursing workforce. The LPN program is one year in length and concentrates on hands on experience. After graduation students will receive approval to write the NCLEX-PN exam. A LPNs day is fast paced and the variety of duties that they perform are an integral part of patient care. Some duties that you can be expected to perform include monitoring IVs, bathing and feeding, monitoring fluid intake and output. They can also look forward to assisting in creating patient treatment plans, administering medications, performing diagnostic procedures, supervising CNAs, taking vital signs and keeping accurate patient care records. According to the Wisconsin State Board of Nursing, there are 44 accredited nurse schools throughout the state that offer a variety of degree options to students. There are 2 recognized RN degree paths in the state. You can choose to take the Associate Degree in Nursing (ADN) program which is two years in length. If you are looking for even more opportunities, you may choose to graduate from the Bachelor of Science in Nursing (BSN) program, which is four years in length. Either degree option will allow you to take the NCLEX-RN exam. Core programs of study will include math for nurses, English, anatomy and physiology, pharmacology, along with others. RNs can be expected to perform duties such as supervising LPNs and CNAs, inserting IVs, administering medications, taking vital signs, treating medical emergencies, and much more. Obtaining your degree online is becoming more popular every year. It allows you to study at your pace while still continuing to work or practice in the nursing field. 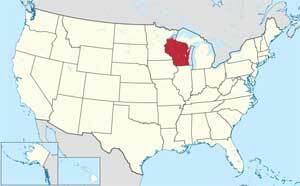 Online programs that are available in Wisconsin include CNA, LPN, LPN-RN, LPN-BSN, RN-BSN and BSN-MSN. It is recommended that the validity of the program’s accreditation is verified by the Board of Nursing (BON) before you register.